Most older adults have multiple chronic health conditions. Treatments for one issue can easily affect other aspects of their health and make things worse overall. Managing these complex health situations are where geriatricians are especially helpful. We found a great article by Kaiser Health News (KHN) that describes how geriatricians are different from regular internal medicine doctors and how seniors could benefit from their expertise. KHN interviewed several prominent geriatricians to understand their unique approach to caring for seniors and get tips on what to look for when finding a doctor for your older adult. Here, we share highlights from their article. Geriatricians are internal or family medicine doctors who have additional training in senior health care needs. They can be primary care doctors, provide consultations, or work as part of an older adult’s medical team. What does a geriatric doctor do? A woman shares how frustrated she was by the care her mother got from her primary care doctor. Doctors commented on why seeing a geriatrician could be helpful to the mother. Geriatricians focus on quality of life and what patients want from their medical care. They take a lot more time to get to know their patients — finding out what the older adult can and can’t do and about their support systems and opportunities for social connection. In addition, knowing about differences between older bodies vs. middle-aged bodies helps geriatricians choose treatments that work better for seniors. Most primary care doctors don’t spend enough time finding out about and solving issues that affect older adults. To find a geriatrician in your area, use the American Geriatrics Society’s geriatrician finder. Geriatrics is one of the rarest medical specialties, so there might not be a geriatrician in your area. The next best thing is a doctor who has experience with caring for older adults. Have they received additional training in geriatrics? How do they approach caring for seniors differently than for middle-aged patients? Are there medications they avoid using with older adults? At an appointment, the doctor should want to review all of your older adult’s medications, ask about geriatric syndromes (described above), and ask about their goals for care. Based on their answers and what you observe at the appointment, you’ll get a good idea of whether they take caring for seniors seriously or if they view them as basically the same as middle-aged patients. — Should Seniors See a Geriatrician? Image: Expert Home Care, Inc. 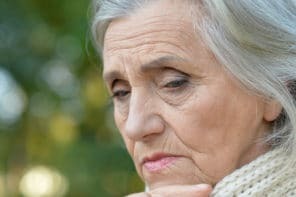 This article gives me conformation that I should be doing something different and that what could be part of my grandmother’s health issue is real and probably treatable/manageable with the right professional. I wish there was a return policy on unnecessary visits/ procedures (LOL). Knowledge is Power-THANK YOU!!! Can I get arbitration so I can at least try to make a wrongful death insurance claim even if no lawyer will take the case? Also, How do I get my mother’s medical records if I was not power of attorney? Is showing that I was next of kin on the death certificate enough to get her medical records released to me? One lawyer wants me to pay 400 dollars an hour, I asked for one hour of pro bono, I have not heard back yet. Unfortunately, we’re not lawyers so we don’t have answers to any of these questions. You may want to check if your county has a Legal Aid Society that provides pro bono or low-cost legal services. I hope you find a solution that works. Name withheld so I don't get sued. I meant to add that in my prior 20 years of always being there for my parents, the ER, Hospital and Urgent Care were always appreciative of my being there on behalf of my parents. This time I was treated like I was invisible. I tried to get my mother a geriatric doctor as a back-up to her primary doctor. My mother’s MediCare provider did not have a Geriatric Doctor. I believe my mother would be alive today if I had access to a Geriatric Doctor for second opinions. The ER basically ignored my mother’s wheezing and instead called it Emphysema even though my mother and I walked up to 1.1 miles on a regular basis. When my mother had a low grade cold I knew she would not be treated for it. But when it started to get worse, resulting in wheezing and her words being said in a broken fashion, I called 911 and the most brutal eperience imaginable first dealing with combative, non empathetic first responders, then dealing with an ER that refused to even acknowledge her wheezing. I would have immediately contacted my mother’s Geriatric Doctor if she had had one. Primary Care physicians can sort of toggle back and forth between using a standard of care that a 50 year old would need and then applying it to a 90 year old patient, and that is just not right. In my opinion the ER sent my mother home to die three days later when I had actually brought her in at the perfect time, when her cold was just starting to escalate into something worse. I will forever be devastated when I remember how cooperative my sweet mother was who still took delight in living and I could not protect her from heartless ER personnel who literally called security to force us to leave. It’s criminal what they did, but good luck to me to find anyone who will take on a corrupt doctor and a few of the doctor’s henchman. I have been in ER’s, Urgent Cares and Hospitals on behalf of my mother and father for the past 20 years, this despicable life snuffing attitude by the doctor, the MediCare healthplan’s sociopathic intake monitor who literally scowled at my mother when he walked by our ER room that day and just kept walking. I had a run in with that same person four years earlier when he pushed my mother out of the Hospital too early and she was brought back in two days later for a second tussle with her pneumonia. The guard who forced us out of the ER, and the Nurse who violated tenets of civility and refused to do anything that I asked in a respectful nature. I’m so sorry you and your mother had such a terrible experience 🙁 If you wanted, you could file a complaint with the medical board in your state. For example, here’s information about filing a complaint in California http://www.mbc.ca.gov/Consumers/Complaints/ Your state will have its own state medical board website. You may also be able to file a complaint with the hospital administration as well.